1. A fantastic Sunday! Great energy with the worship led by Beth Allison. I loved hearing the violin added to the mix! 2. “Antioch” is one of the most important cities to our faith, but it is often overlooked. I think everyone learned something today from Acts 11, and the Holy Spirit was present as we responded to the Word. 3. An amazing team of volunteers came to VBS Set up Sunday night. We had a lot of fun! It was neat watching 242 Groups serve together. 4. Do you know a year ago we had different service times? The change in times last August was a little tough on the church, so we’re not changing again (for now)! It’s just interesting to think how a year can seem so long ago. 5. Coming straight home after church instead of going out to eat made my afternoon longer, and more fulfilling. I had to make a stop at Food Lion, but it was worth it! 6. Do you have August 21, 2011 marked on your calendar? 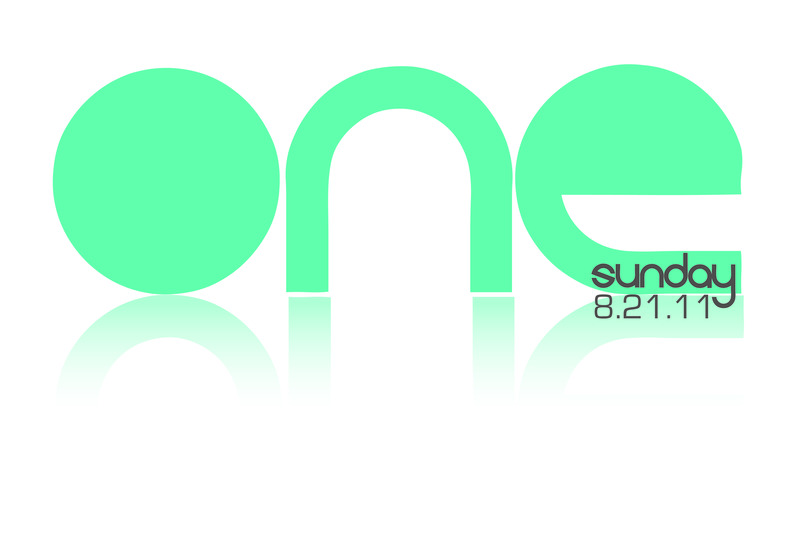 It’s “One Sunday.” I’m asking everyone at CIL to show up that Sunday. More to come! 7. I’m switching my “Sabbath” this week from Monday to Friday, for one week only to accommodate a family need. If you need to get a hold of me on Monday, feel free to call the office. 8. It was good to see Pastor David on Sunday after he spent a week caring for his wife, during her hospital stay. Margie is 5 months pregnant, and doing well. However, pray for her for the duration of this pregnancy. 9. If you haven’t tried Blue Moon Barbecue in Hendersonville – wow! The best beef brisquet you’ll find east of the Mississippi River. Outstanding stuff! 10. Beth Allison’s birthday is Tuesday, July 12. She’s turning the big 4-0. I joked in my sermon, “You look great at thirty.” She looks great at forty, or any age. Happy birthday, Beth!